If you want to feel like a real traveler, the 3 days journey between Chiang Mai in Thailand to Luang Prabang in Laos is a must do. 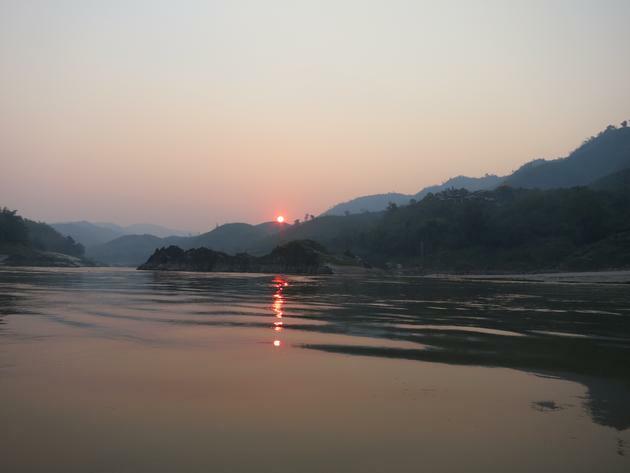 You’ll need some patience but the trip is worth doing the slow way to enjoy the beautiful landscapes along the Mighty Mekong. The first day is spent on the bus to Chiang Khong, a town on the border with Laos, the main crossing in the northern provinces. If you use a minibus service, you’ll stop at the White Temple on your way which is nothing more than a tourist attraction. Do not miss the crazy paintings inside the temple. 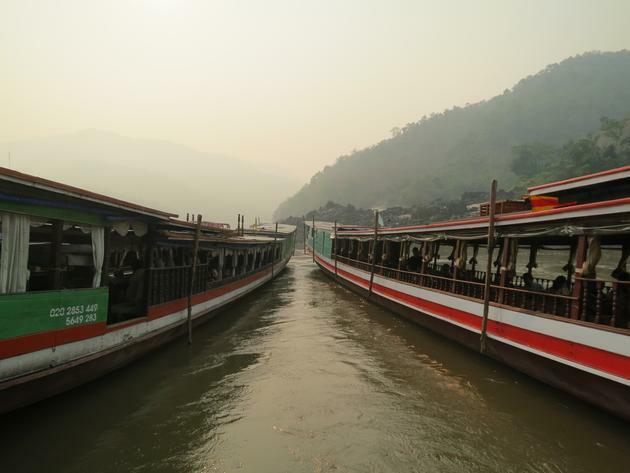 For the slow boat service, you’ll need to spend the night in Chiang Khong. There’s also an overnight bus service to Luang Prabang which you may be able to catch if the bus is not late. The next morning, you’ll have to deal with the border crossing which is pretty easy. Get your visa and hope on a tuk tuk to the slow boat pier. The boat leaves at 11:30 am. It holds around a hundred people which makes for a crowded cruise. 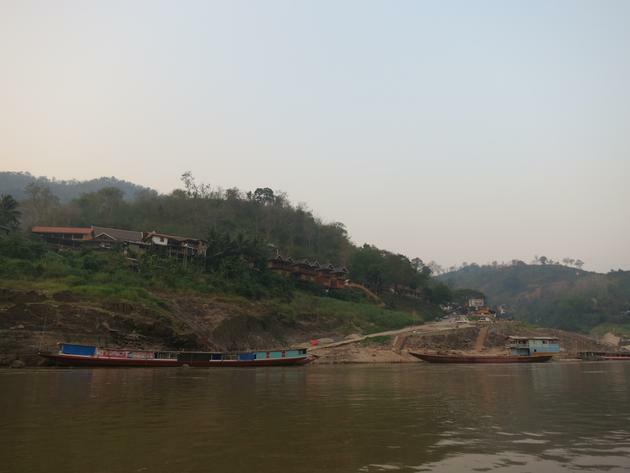 The boat stops for the night in Pak Beng, a town where every building seems to be a guesthouse. There are also a few restaurants and I had a great dinner with some of the best pancakes I ever ate. The boat leaves at 9;30 on the next morning. It was a different boat, much bigger, with a bar at the back. 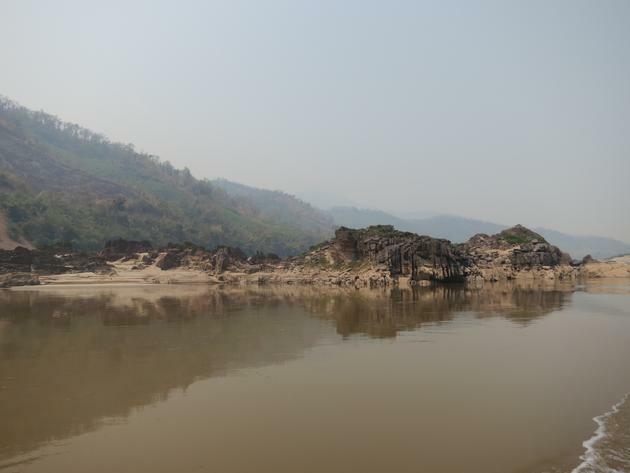 The trip takes around nine hours on the second day, we reached Luang Prabang at around 5pm.